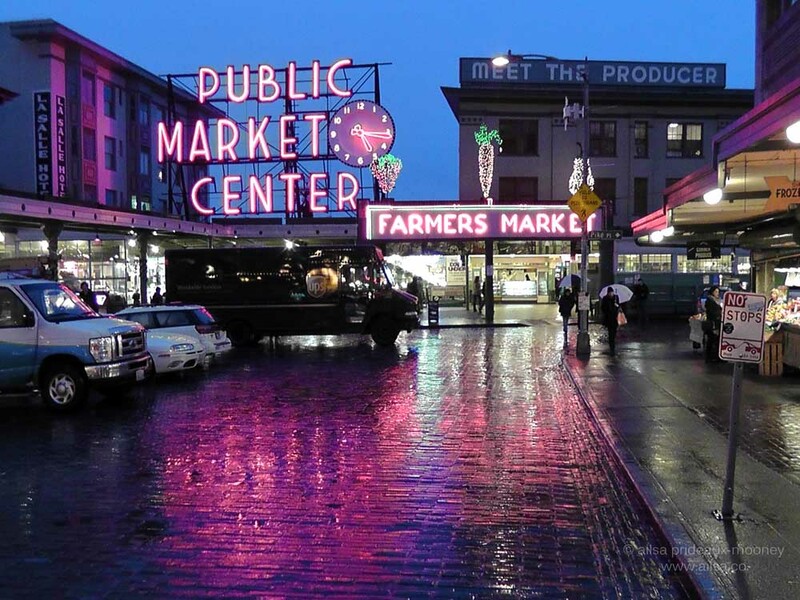 12 free things to do in Seattle’s Pike Place Market | Where's my backpack? No trip to Seattle would be complete without a visit to Pike Place Market, with its bustling stalls, cobbled streets and neon signs. Filled to overflowing with the freshest of produce and flowers, hand-crafted jewellery, artisan breads, jams, honey and cheese; it is an easy place to get carried away on a shopping spree, but you don’t have to spend a fortune to enjoy the market. Here are a few suggestions that won’t strain your purse strings. 1. 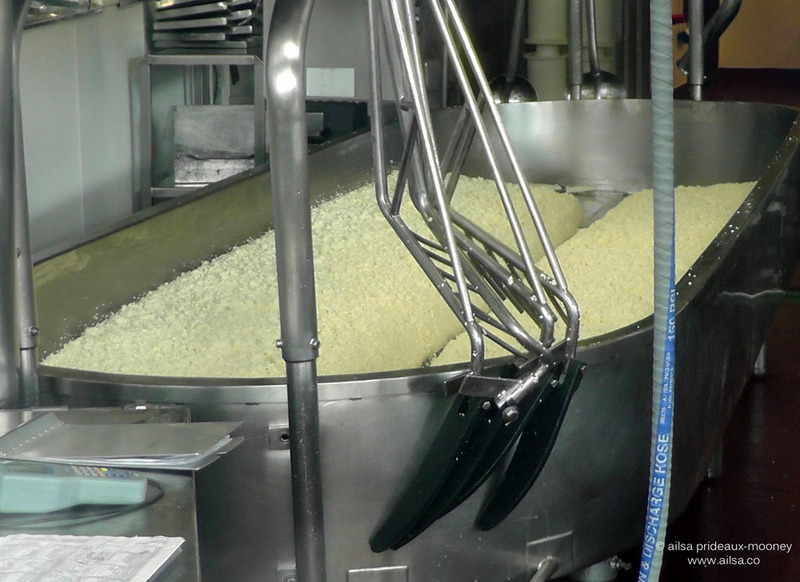 Watch cheese being made. 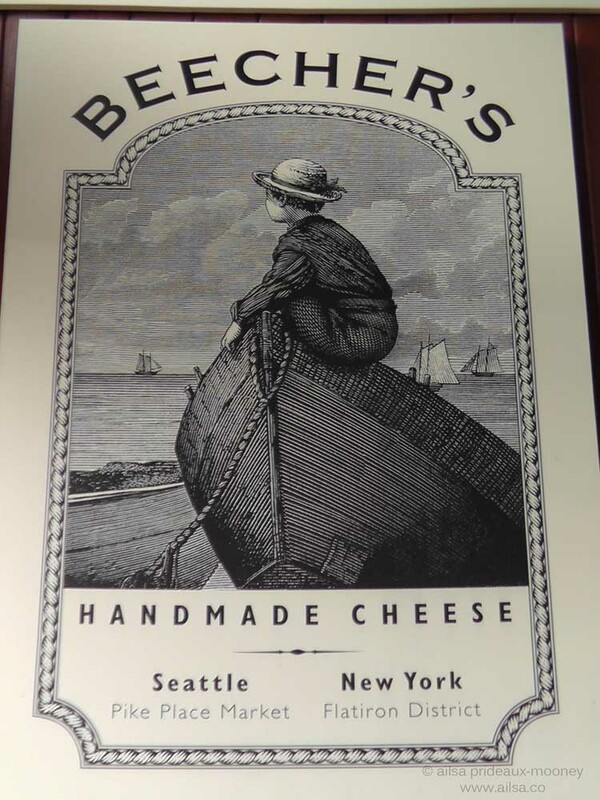 Beecher’s have been delighting Seattle’s taste buds since 2003 when they first opened their flagship store in Pike Place Market. 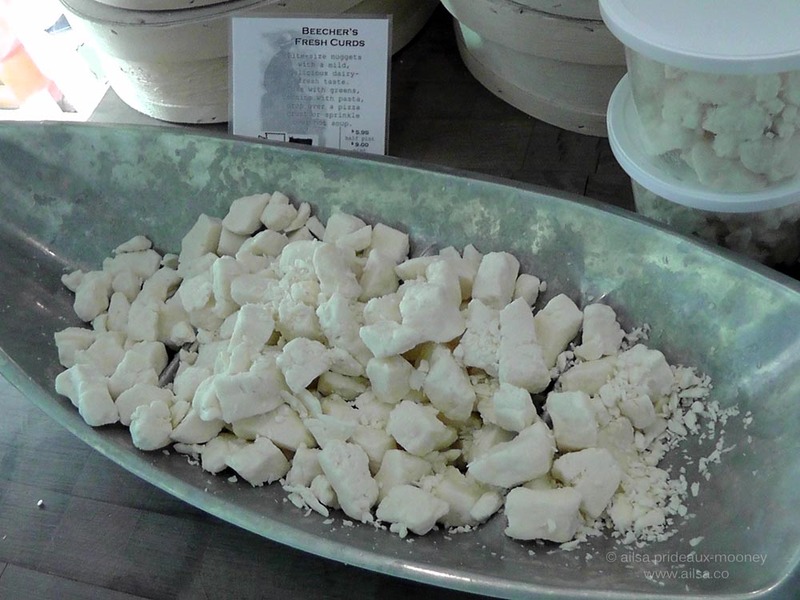 As you walk by the shop on the corner of Pike Place and Pine Street, you can push your nose up against the windows and watch the cheese makers at work in their glass-walled kitchen. The end result is some of the freshest cheese you’ve ever tasted. 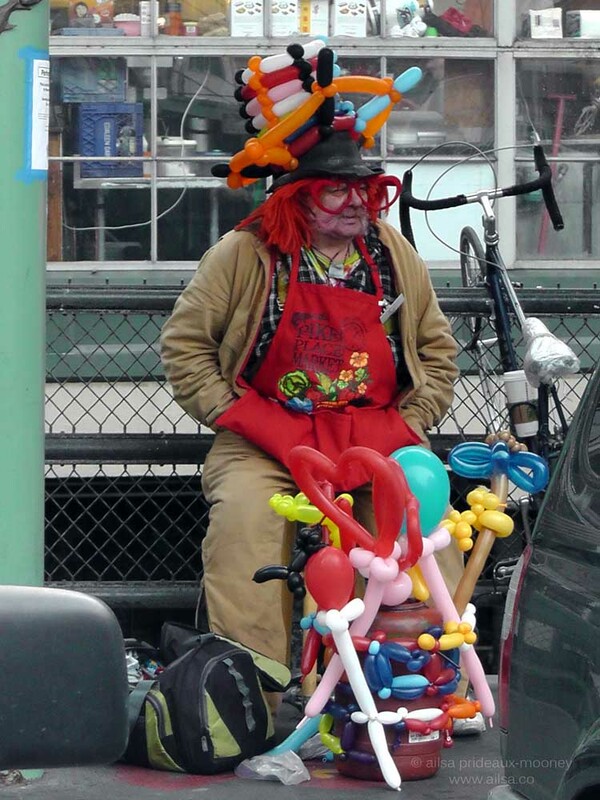 There’s always something going on down at the market, from clowns and living statues to incredible a capella gospel singers and Artis the Spoonman and Jim Page rocking the crowd into a frenzy. 3. Discover your inner anarchist. 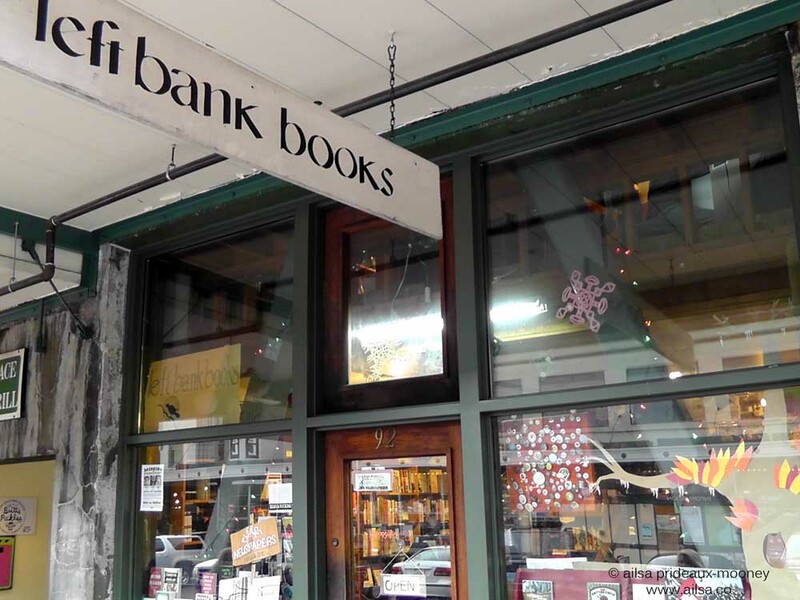 Left Bank Books began as a small kiosk in the market in 1973, moving shortly thereafter to its current shop front on First and Pine where it has served as bookstore to Seattle’s radical community ever since. Inside the store, jam-packed shelves creak under the weight of left-leaning tomes. For such a small space it packs in a wealth of titles; many from indie publishers and covering every subject imaginable. It is easy to spend a couple of hours looking through the neatly organized shelves of this gem of a bookstore and when you finally emerge back into daylight, don’t be surprised if you’ve developed a rebellious swagger to your gait. Pike Place Market is renowned for its pigs; they’re everywhere. Big ones, small ones, in shop windows, on the sidewalk, perched on rooftops. 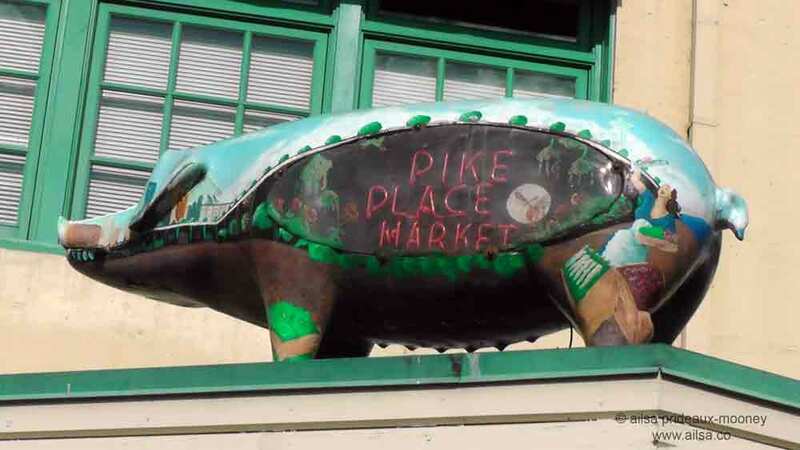 The most famous pig, Rachel, stands guard proudly underneath the main sign for the market, but there are many more to be found if you take the time to look around. The market floor is covered with approximately 55,000 ‘name’ tiles. 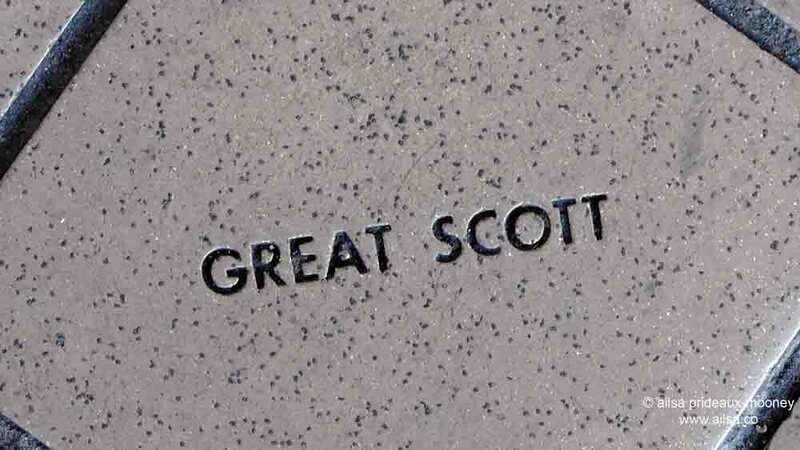 They were sold as part of a fundraising campaign and anyone who bought one could choose an inscription for their tile when they were installed in 1985. Mixed in with the names of market supporters and local Seattleites you can find all kinds of celebrities and even a couple of presidents. There are plenty of interesting inscriptions to keep you entertained. Here are a few of my favourites. Don’t wait too long to check out the tiles. Several are cracked or broken, having weathered market crowds for almost 30 years, so they’re slowly being replaced. Catch them while you can. 6. Follow the hoof prints. 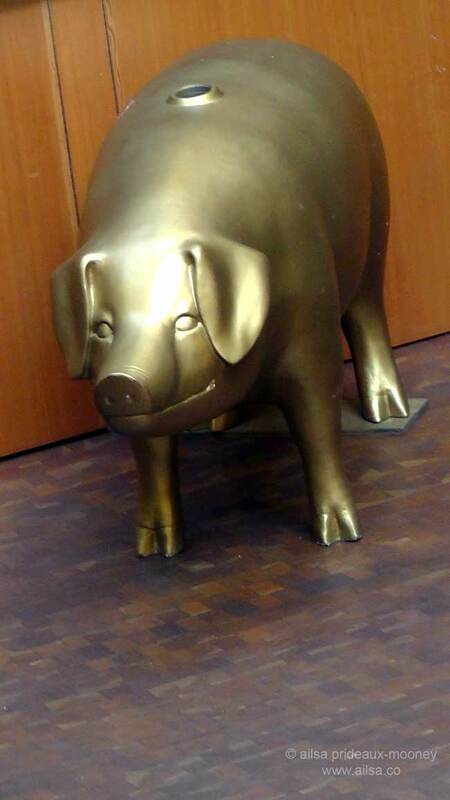 While you’re looking at the floor, check out the bronze pig hooves on the ground near the main entrance; also part of the fundraising campaign. You might spot a few familiar names. 7. Watch out for low-flying fish. 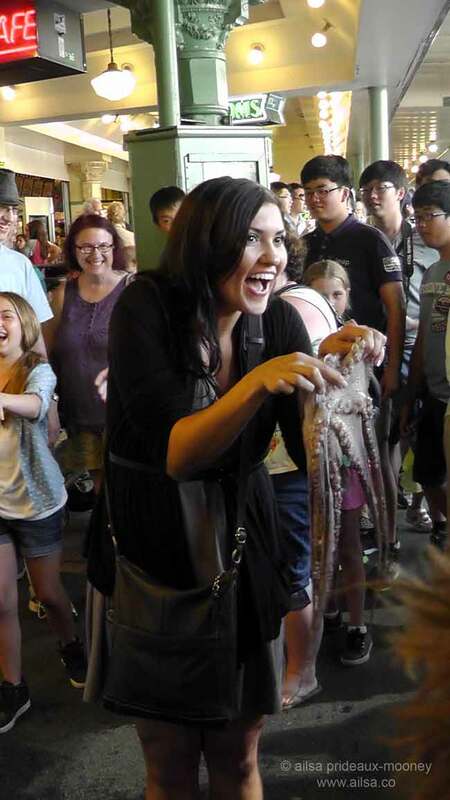 This is perhaps the most popular of tourist activities at the market, but even so, it’s well worth a quick stop. Fishmongers hurling huge fish to each other is guaranteed to get the crowd going, especially when they miss. If you’re very brave, you can get in on the action for yourself. 8. Take a photo of the “original” Starbucks. The “original” is in quotation marks because in the days before Howard Schulz and long before the Venti Frappuccino, the original Starbucks was located at 2000 Western Avenue at the intersection with Virginia Street. They didn’t relocate to their present spot in the market until 1977 when their old building was torn down. 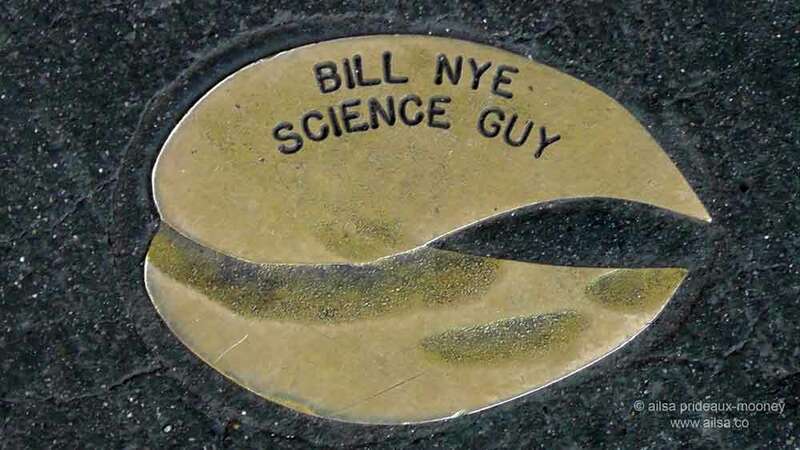 At least the logo is the original one. The brazen mermaid was deemed a little too titillating for general consumption in the 1970s so she was replaced with a more demure version. 9. Sample the good life. …to chocolate pasta – seriously, you have to taste it! 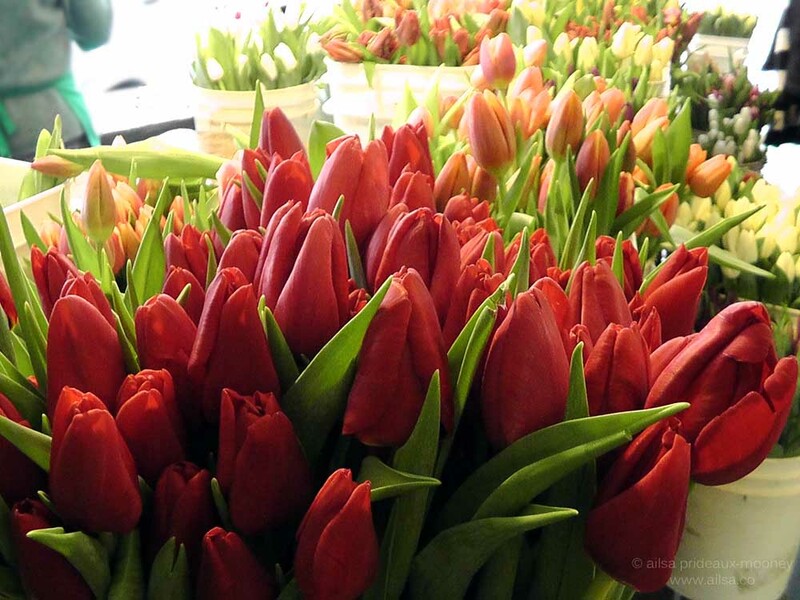 … or tulips, depending upon the season. 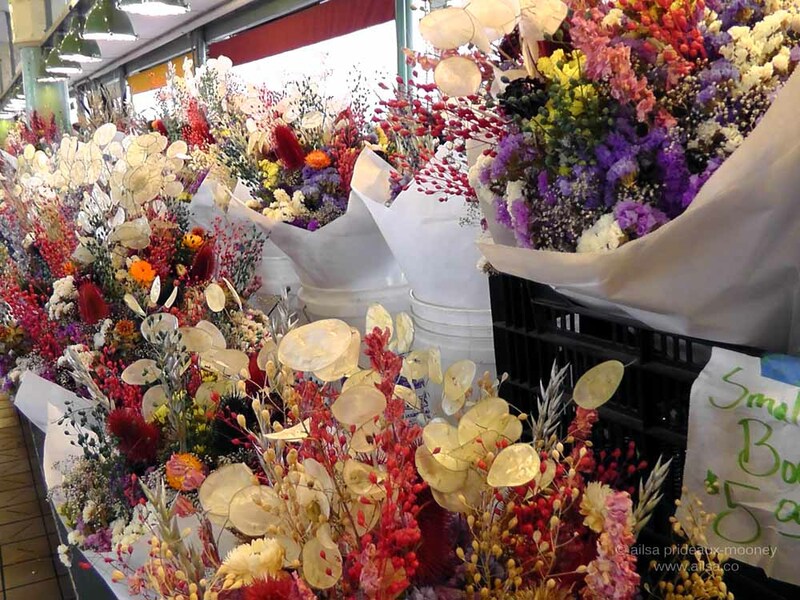 Pike Place Market is the best place in the city to find freshly cut blooms at a bargain price, and the sight of those bouquets stretching the length of the market halls is enough to gladden the heart. 11. Make your mark on Seattle’s Gum Wall. This is a sight so grisly it deserved its very own post, so I wrote about it here. 12. Get a mystical energy boost. Wander down the steps to Western Avenue to get a view of the Market from another angle. 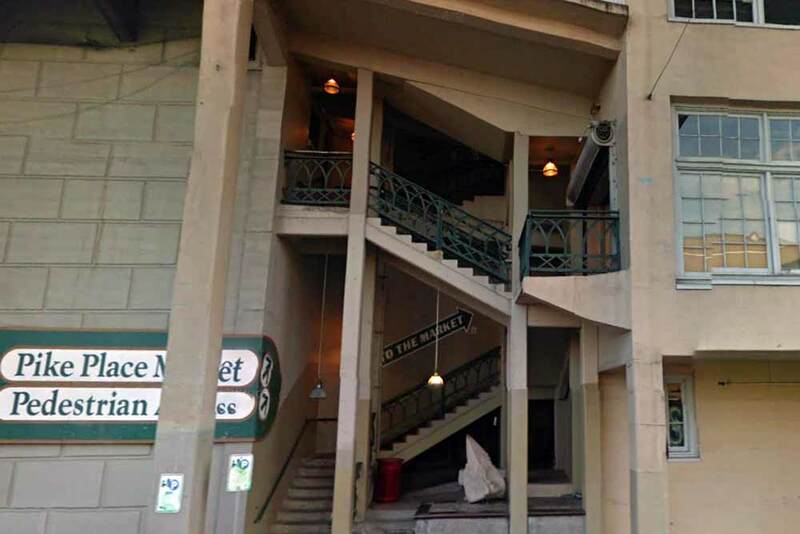 While you’re down there, look for an alcove underneath the bridge where a staircase leads you back into the market. 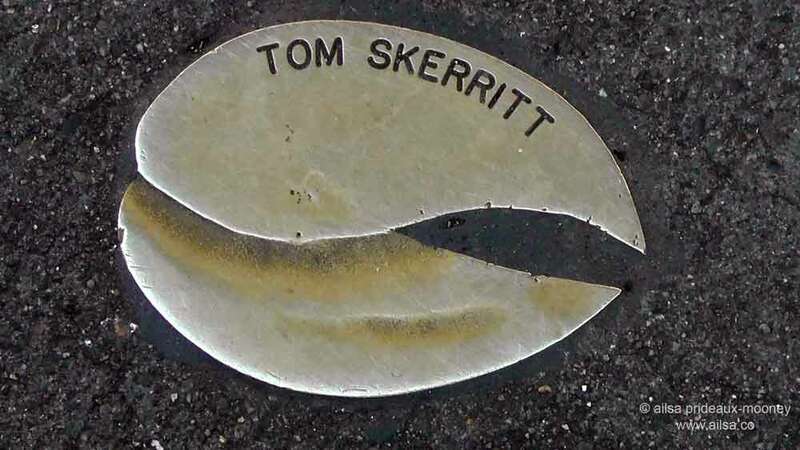 At the bottom of the steps lies an unusual sculpture named ‘A Point’. The work of late Seattle artist Michael Oren; it honours the Native American peoples who lived here long before settlers set foot in the Pacific Northwest. It is placed on a spot sacred to the Duwamish, Suquamish and Nisqually tribes in the area and held to be a ‘thin place’ where this world and other realms collide. The three sides to the sculpture may well signify the three tribes; there is also a suggestion that the three sides correspond to the direction of three significant ley lines that run through Seattle and intersect right at the tip of the sculpture. 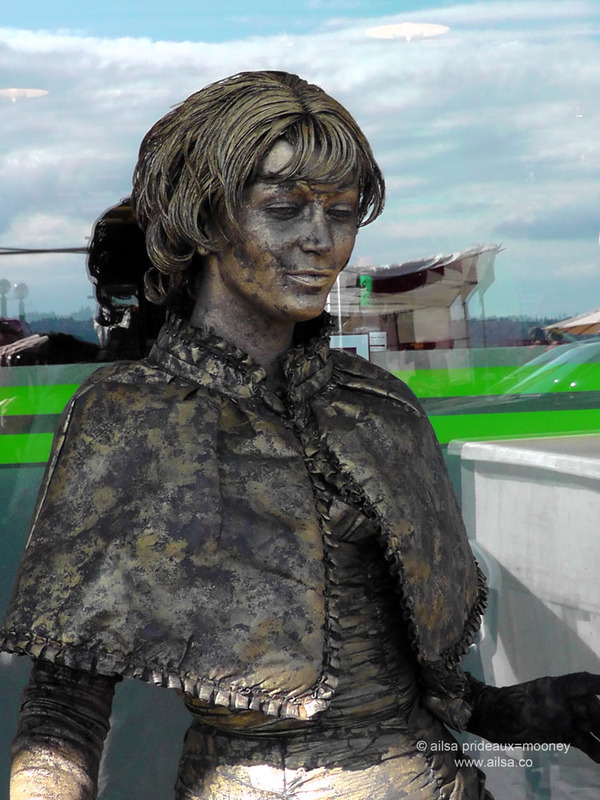 The artist incorporated crystals at the base of the sculpture for people to run their hands over, in the hopes of increasing their chances of feeling the energy being emitted. Hold your hand over the top of the sculpture and see if you get a jolt of otherworldly energy. Then go back up the steps to the market and explore some more! This entry was posted in Photography, Travel, Travel tips, United States, Washington and tagged photography, photos, pictures, travel, travel tips, writing. Bookmark the permalink. Excellent post from start to finish! I’m a Seattleite, and know and love the market, and I can also see what a great job you did capturing the whole experience. 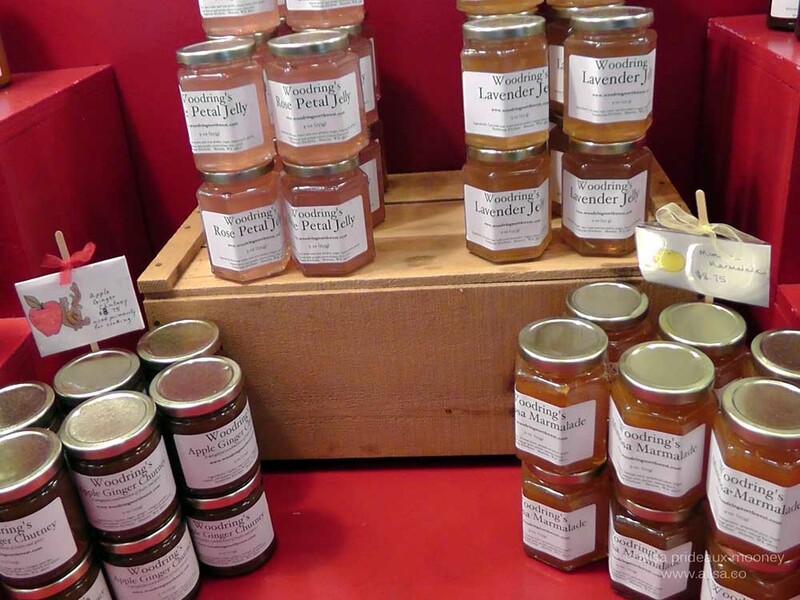 Every time I go there I find something new I’ve never seen before… and every time I go I can’t resist a stop into The Crumpet Shop for a scone and some gooseberry jam or lemon curd. Yum! 🙂 What’s your favourite spot? Oooh, scones and gooseberry jam sounds yummy! Haha, I love a challenge, Jude, I’ll see what I can come up with. When’s your trip? Thanks for a fun share . . . loved the shots, except for that gum wall. Ewww . . .
Ailsa I am so happy to have a tour. I have often used the FISH philosophy of team work in doing presentations to teams. Definitely would love to see it in person. Cool post, Ailsa, and great pics. Seattle is not that far from San Francisco, and it makes a perfect four-day weekend destination, yet I’ve never been, mainly because of the threat of rainy weather. When is the best time of year to visit Seattle when one can expect some nice-ish weather? Your pics reawakened my urge to visit! Seattle summers are glorious, Stephen – shh, don’t tell anyone, it’s our best kept secret. July, August and early September are good bets for fine weather. You’ll love it. Is that gum wall what I think it is???? This was wonderful–even # 11! I have always wanted to go to Seattle and this made me want it even more. I agree with HeyJude–a day trip guide….? That would be lovely. What an exciting place to go to! (Not surprising), I’m thrilled you found so many free but fun things to do there! What a fun list! But the Gum Wall… eeks! Brilliant Ailsa, I love markets and would be happy watching the world go by in this one – and buying a few jars of that jelly! PS – I hope we get to meet when I return to Seattle sometime next year. 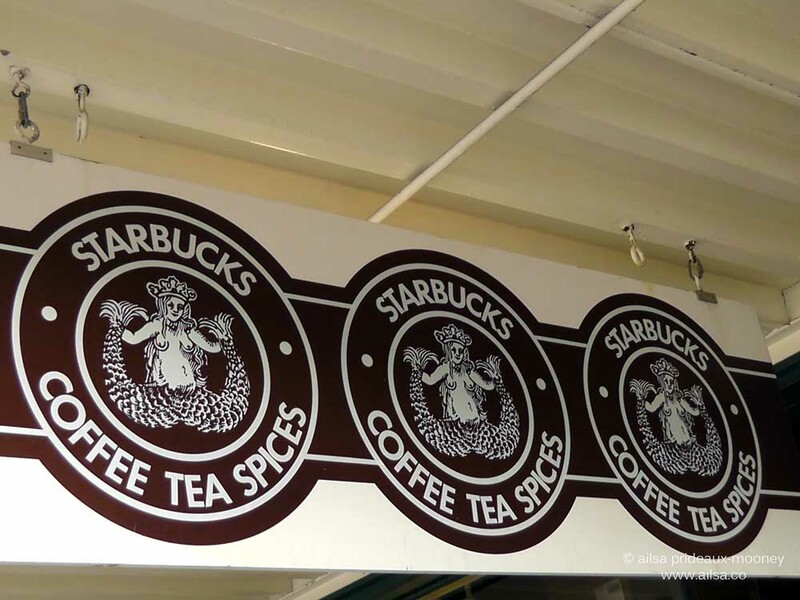 I like the original Starbucks sign. I doubt Rusha would haver forgotten that revolting gum-wall had she ever seen it – yeuch! 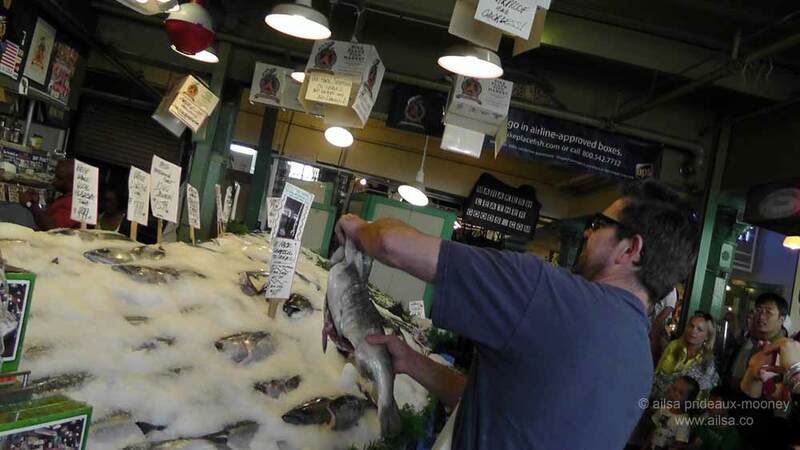 Interesting market, hope you weren’t clouted by a wet fish! Don’t know if it’s still free, but they used to give tours. First thing they tell you is the place used to be a brothel, which explains why some of the shops are so small. Interesting read! Thanks for the tips. Pingback: Free but Fun in Seattle | Free But Fun! A great piece showcasing a dozen great things to see and do in downtown Seattle. Thanks to Where’s My Backpack. wonderful variety – this post was so much fun!!!! 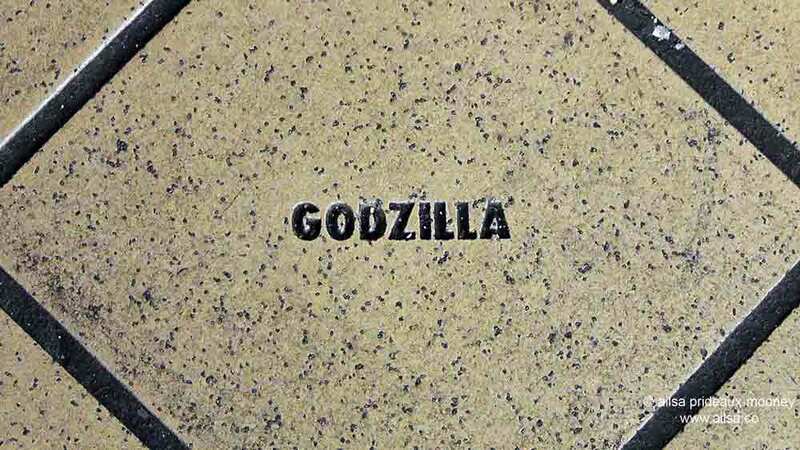 Love the name tiles on the floor. Sounds like you could have a ton of fun just putting one foot in front of the other there! Loved your post. Looks like a very fun place to visit but I would not hold what looked like a squid and would avoid the gum wall like the plague 🙂 Thanks for sharing. We were just there in March! I enjoyed re-living the experience through your pictures. We saw most of what you’ve featured. The market really does have an energy about it.